Celebrating 80 years of business, the Palace Grill welcomes customers from all walks of life. Located at 1408 W. Madison St. Chicago, IL 60607, the restaurant is a classic American diner with a warm atmosphere to enjoy a hearty meal. The Palace is known best for breakfast foods, such as the Denver omelet and hash browns. Other customer favorites include: the farmers skillet, the reuben sandwich and the ½ lb. Palace burger. The restaurant has famously been visited by Mayor Daley, Al and Tipper Gore, the Russian Prime Minister Viktor Chernomyrdin, countless TV/radio personalities and of course, the Chicago Blackhawks. The Blackhawks regularly pick up breakfast sandwiches — aka "heart stoppers" — before practice, and they brought the Stanley Cup to the restaurant six times in 2015. Additionally, the Palace Grill has been featured on the Oprah Winfrey Show, Windy City Live, Sandwich King, Secrets of a Restaurant Chef and Chicago's Best. The high praises come from hardworking Chicagoans and foodies alike. Chicago Sun Times food critic Pat Bruno voted the Palace Grill the best breakfast restaurant in Chicago. 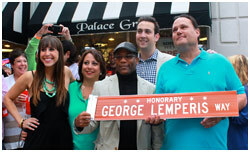 George Lemperis has owned and managed the restaurant for 40 years and it has been in his family for 60+ years. George has a large passion for life and the family business. He warmly greets customers by name as they enter his establishment and has created everlasting friendships with many of his clientele. In a tough industry saturated with competition, the Palace is more than a restaurant; for many, the personal connections and relationships George maintains with his customers serve as the icing on the cake, the gravy on the potatoes and the story behind 80 years of business. 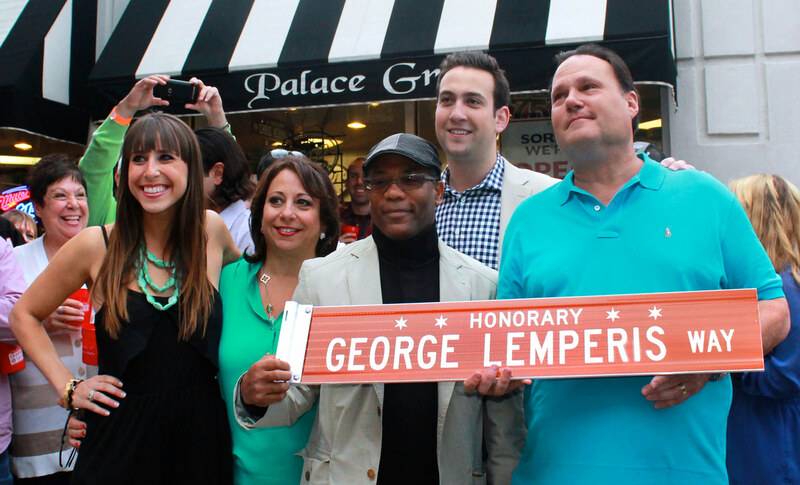 The restaurant's legacy transcends even George's outsized personality. In honor of the 80th anniversary, the restaurant is hosting a customer appreciation party to celebrate the past, present and future on August 4th. Within the Chicago area, there are only a handful of restaurants that have withstood the test of time as long as the Palace Grill.